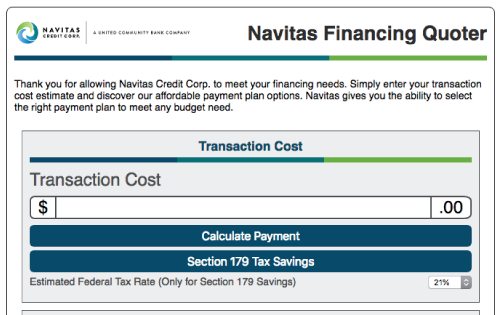 Navitas Credit Corp. works with specialty vehicle dealers nationwide to help provide them with the perfect financing fit for the type of customers that buy from them. At Navitas, we specialize in the titled and non-titled vehicle sector. We understand the equipment you sell and most important of all, we understand your buyer’s needs. 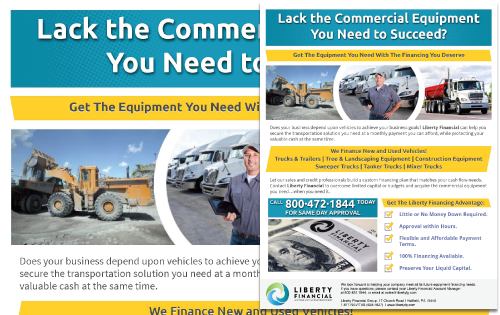 Our Financing Specialists build custom financing solutions that help your customer purchase the equipment they need… not just what they can afford. You provide us with your equipment quotes and we will build a financing proposal that gives your customer more ways to buy from you. Your dedicated Navitas Financing Specialist will hand deliver your documents and visit your customer to close the transaction for you. When your transaction closes, we will bring your funding check right to you and make sure you have the highest level of satisfaction with our service. Give your customers affordable payment options right online. Let your customer get the credit they need right at the point of sale. 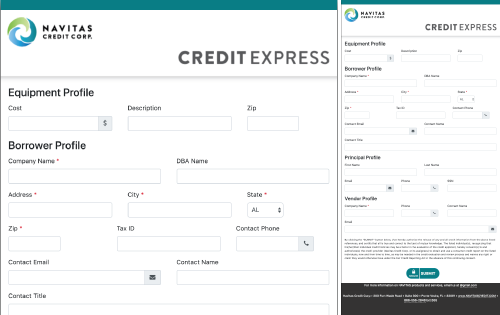 We can instantly integrate payment options right into your online product catalog. 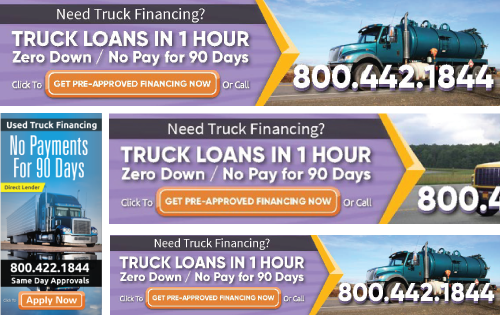 You tell us what to promote and we will create financing promotional web banners to your specifications that turn your web shoppers into qualified buyers. We utilize your brand colors, logos and specs to create financing campaigns that generate interest in your product line. 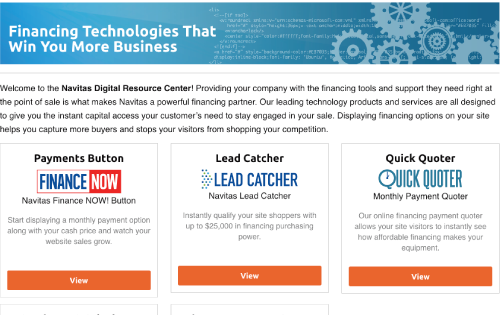 Educate and close more customers with our custom financing page that can integrate right into your website. 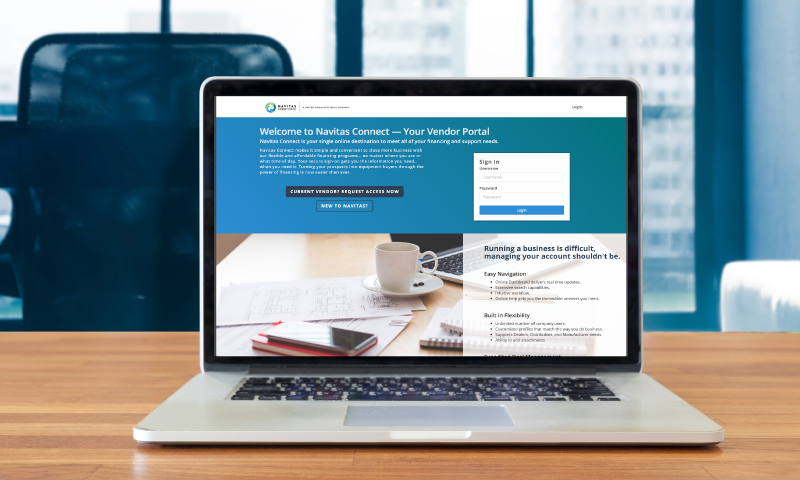 Navitas Connect is your single online secure portal to meet all your financing and support needs. Our 24x7 financing site makes it simple and convenient to close business… no matter where you are or what time of day. 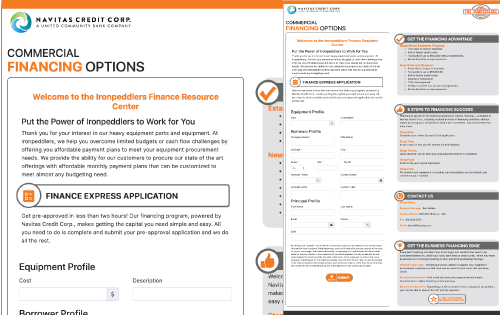 Turning your prospects into equipment buyers through the power of financing is now easier than ever. Get a no obligation double check of your financing program today. Schedule a meeting with one of our Specialty Vehicle Financing Specialists and compare our financing program with your current offering. Discover for yourself how our people, products and programs are helping other dealers, just like yours, win more business and satisfy more customers.